Recent space exploration missions have shown molecular volatile sources on several Solar System objects, including the Moon, Mars, Mercury, and near Earth asteroids (NEAs). most of these low to to zero atmosphere objects are currently under consideration by NASA as strategic destinations for future human exploration missions. Each of these potential destinations is constantly being bombarded by radiation from the solar wind and galactic cosmic rays as well as hypervelocity micrometeorite impacts. The interaction of ionizing radiation and micrometeorite impactors with regolith/surfaces can store, alter, and even produce volatiles relevant for in situ resource allocation, e.g. water and methane. 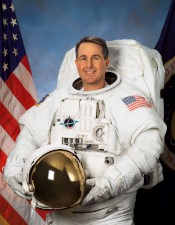 more importantly, the constant radiation assault also poses obvious, life-threatening, and program-limiting health risks for humans that must be understood, quantified, and mitigated by the development of effective shielding materials, real-time radiation detection systems and radiation-hardened human habits and spacesuits. As a member of the Solar System Exploration Virtual Research Institute (SSERVI), The Radiation Effects on Volatiles and Exploration of Asteroids and Lunar Surfaces (REVEALS) team will explore the fundamental, applied, and operational aspects correlated with radiation processing of natural regolith and man-made composite materials. 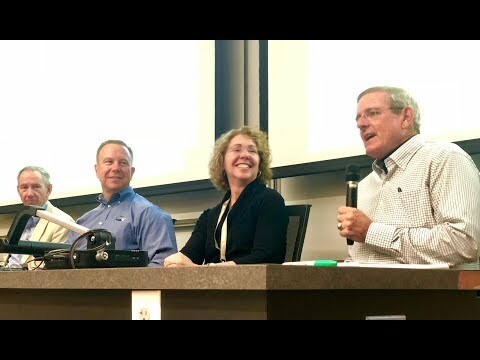 Three NASA veterans and Georgia Tech graduates, Sandy Magnus, Tim Kopra, and Bill McArthur give advice to the future movers and shakers in the space industry.